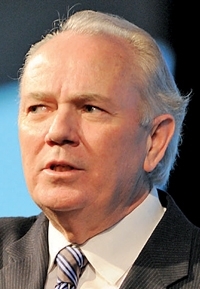 Mike Jackson, CEO of AutoNation. AutoNation chief Mike Jackson has joined the board of directors of the Federal Reserve Bank of Atlanta's Miami branch. Jackson, CEO of the nation's largest automotive retailer since 1999, was appointed a director of the Miami branch by the Federal Reserve Board of Governors in Washington, D.C., one of three directors appointed by that body. His term runs through the end of 2013. The appointment means auto retailing will have a bigger influence on monetary policy in the Southeast. Branch directors for the Federal Reserve Bank of Atlanta share economic information relative to their industries and territories of operation with the district bank's president and head directors. The feedback is used to make monetary policy decisions and discount rate recommendations.